You’ve never met anyone quite like Gail Rosenthal. A visionary with laser-like focus, Gail can read your audience and bring them the rare combination of laughter with truth, motivation with compassion, and inspiration with joy that engages each and every person to feel a message tailor made for them. Gail is a trained hypnotherapist, speaker, mentor, and Master Practitioner of NLP. Her formal education coupled with 20+ years’ experience in business, from small start-ups, privately owned, and publicly traded companies gives her the range of perspectives to connect with all levels of employee, financial experts, sales and marketing teams, technical and support staff with equal impact. Her messages of inspiration, motivation, leadership, and hope, coupled with her down to earth conversational style, compassion, and humor, is one that inspires and motivates them to move beyond where they are now, and brings audiences to their feet time and time again. She has a driving passion for helping people connect deeper with their careers, relationships, and lives, leaving them happier, healthier and more inspired and motivated to deliver more – to you, their teams, their families, and themselves. You will love to hear Gail share her breakthrough knowledge of "Start Principles", starting from where you are (wherever that may be) and taking the next steps to move smoothly and successfully into a place of power, purpose, and positioning for your success and happiness, as well as “It’s All In Your Mind,” a voyage of discovery and perspectives for team-building, brand loyalty, corporate strength, and individual achievement, unifying people, places, and things and creating cohesive, purposeful movement, loyalty, power, and strength with ease and grace. If you're looking for someone different as a keynote speaker, hire Gail and count your measurable results! 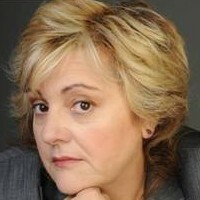 Find out more about Gail Rosenthal at http://www.gailrosenthal.com.